Goal Setting can be a fulfilling activity once you realize how balanced your life can be! I mean, if we don’t plan, we plan to fail. It’s true! The days I don’t plan for a healthy lunch, I end up with a less stellar choice! Where do you see yourself a year from now? When you look back, what will you want to have accomplished? 5 years from now, will you say, “That was the best year ever”? Will there be anything to make this next year memorable? Will you have truly LIVED and not just ‘made it through’? Will you have rid yourself of excessive stress and irritations? Will you have done hard things? We are given 525,600 minutes every year. Well, if you are reading this, you had that many last year. In the musical Rent, the song “Seasons of Love” talks about just this- 525,600 minutes spent in daylights, sunsets, in midnights, in cups of coffee, in inches, in miles, in laughter, in strife? In Love? Journeys planned? Truths learned? Times you cried? Bridges burned? Deaths? Celebrations? Friends? Enjoy the song here! Let’s see if you can stop singing it afterwards! It’s addicting…and in a good way! How will you spend your next 525,600 minutes, or those you are given? Check out my video where I teach the basics of planning and goal setting, along with many tips for you to unlease your potential! Answer the hard questions of what irritates you and what things you constantly worry about. It’s time to change that! I’ve provided a worksheet for you to use that will be explained in the video. 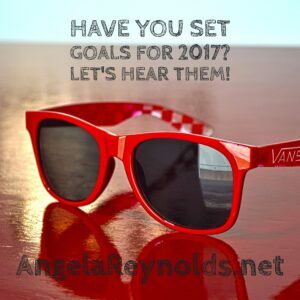 You can print this off for your goal planning. Just watch the video for all of the nuggets of goodness. I can’t spill it out all here.